This is the couple of hacks I used after I finished #23802 in order to get fabric working on RNTester. This is inspired from prior work by kmagiera. The goal of this PR is to show others what I’m struggling with, and to eventually merge it sans hacks. - this is only for pods, the non-pod RNTester will no longer work until updated with fabric too. 1. Swizzle the `start` method on `RCTFabricSurface` to no-op when called. Add's a podspec to allow linking / building turbomodules. This moves the `RCTTest` lib from `Libraries/RCTTest` to `RNTester/RCTTest`. 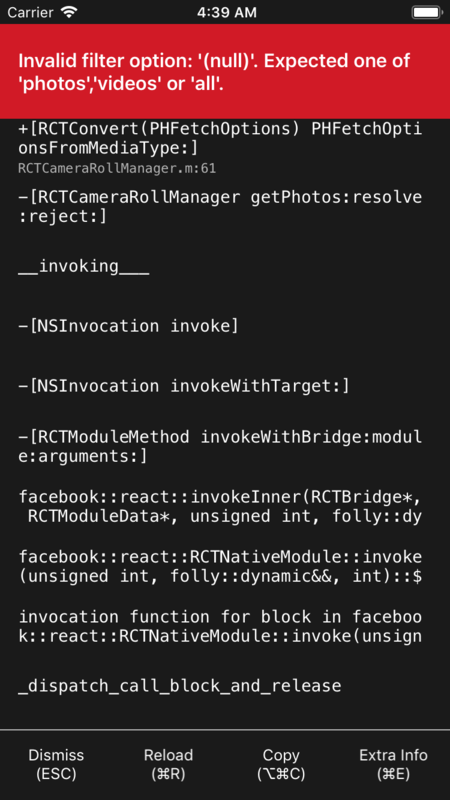 This also removes `takeSnapshot` from React Native, and implements it as a standalone module in RNTester called `ScreenshotManager`. While the proper typographical terminology is [Strikethrough](https://en.wikipedia.org/wiki/Strikethrough), we should still support `line-through` as it goes through a deprecation phase. Fix #23849. When setting a semi-transparent background on text, it becomes obvious that we are drawing the background color twice. Since background color is handled by the view, we should not need to draw the glyph background color too. Fixes a warning in React Xcode proj. Should be a trivial change. This fixes a few memory leaks in fabrics handling of colors for borders, when using CGColorRef's we must be diligent about releasing the memory back. Fixes a trivial typo in `startSurfaceWithSurfaceId` method. Fixes #23459. It is not legal to write the character array of a std::string, and can result in undefined behavior. Allow iOS to handle `touchesShouldCancelInContentView` on RCTScrollView if we aren't disabling the scroll interaction. Fixes yet more Xcode warnings. Fixes unused warnings in RNTesterUnitTests. 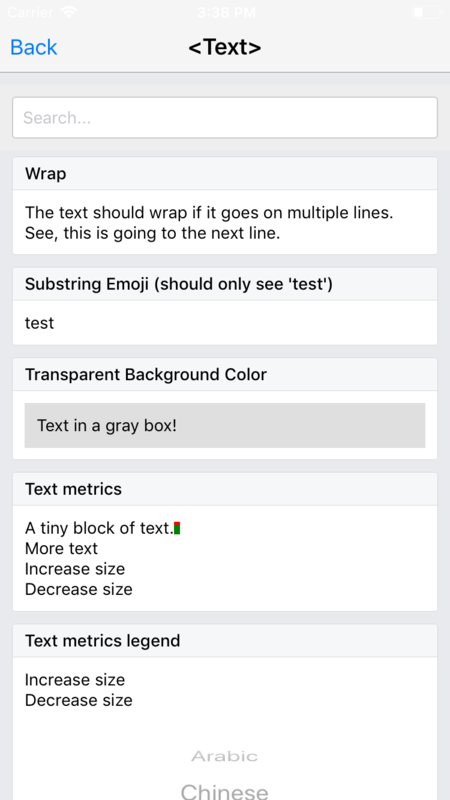 [iOS] [Fixed] - Fixes unused warnings in RNTesterUnitTests. Fix deprecation with openUrl, handles feedback in #17011. Fixes an unused storage of variable. An updated version of: #22009, this compares the correct image size. This is a fix for #5859, based on the feedback in #18587. Instead of using `didSetProps` it uses a setter. I will also note that setting to `nil` no longer works (crashes) so setting it to a blank string then back to the original works fine. [iOS] [Fixed] - Toggling secureTextEntry correctly places cursor. Part of #22609. This brings the warning count down to 0 for the RNTester target, also adds a fancy new icon! CameraRollView was the last remaining code in RN to use ListView, this refactor changes it to FlatList. Our `ws` dependency is super outdated, and is [insecure](https://www.npmjs.com/advisories/550). It is used for the websocket example code in RNTester. This PR updates the dependency, and removes undefined console.logs. Part of #23561. Small refactor to use 1 marker for the different tests, as it doesn't matter where it is- so long as we can detect it. As part of #23561 this is an attempt at fixing iOS. As part of #22609, this fixes yet more warnings. - Adding more __unused to params. - Refactors `isPackagerRunning` to use NSURLSession. Fixes a warning thrown by Xcode & allow RVO to be performed. This PR reduces the number of warnings in React from 68 to 18. Mostly by marking unused variables. RNTester's warnings are more than halved. Fixes redscreen on RNTester's XHR page. CameraRoll getPhotos was missing params. Unable to open URL: asos://checkout, add asos to LSApplicationQueriesSchemes in Info.plist. [iOS] [Changed] - canOpenURL throws when custom scheme isn't in LSApplicationQueriesSchemes. This pull request fixes a dangling brace, causing Xcode to be unable to build RCTFabricSample. Sometimes images are slow to load, and they are quite heavy. This converts the ScrollViewExample to a list of simple text items, similar to the append example inside of it.